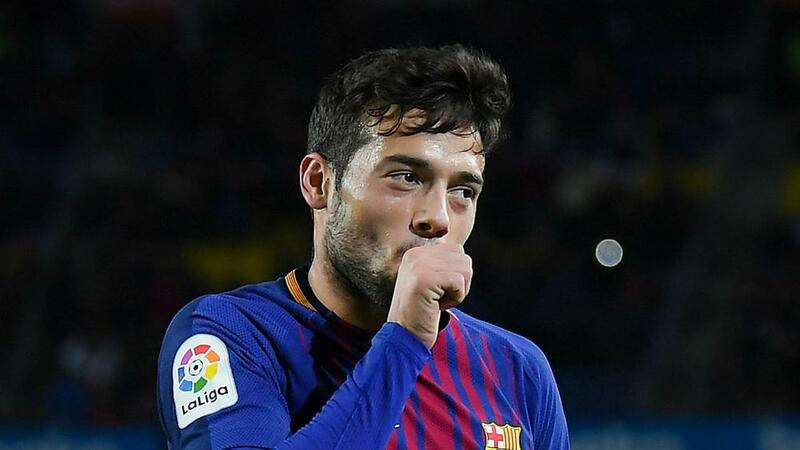 The youngster scored three Copa Del Rey goals in 2017-18, but Barcelona have sold Jose Arnaiz to Leganes as the 23-year-old looks for regular minutes. Jose Arnaiz has left Barcelona for Leganes in a €5million deal, but the Catalan giants have retained a buyback option for the forward. Arnaiz struck three goals in the Copa Del Rey last season with Ernesto Valverde's men going on to lift the trophy, thrashing Sevilla in the final. But Arnaiz, 23, could not force his way into Valverde's plans on a regular basis and he featured just once in LaLiga in a five-minute cameo off the bench. Leganes confirmed on Monday that Arnaiz has signed a five-year contract with the club, with a further €500k due in variables.